Unless you're using the Exact color table option, the color table may not contain all the colors used in the image. To simulate colors not in the color table, you can dither the colors. Dithering mixes the pixels of the available colors to simulate the missing colors. 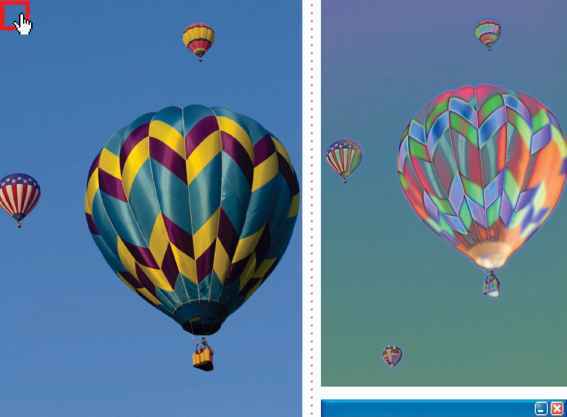 None Does not dither colors but instead uses the color closest to the missing color. This tends to result in sharp transitions between shades of color in the image, creating a posterized effect. Diffusion Uses an error-diffusion method that produces a less structured dither than the Pattern option. To protect colors in the image that contain entries in the color table from being dithered, select Preserve Exact Colors. This is useful for preserving fine lines and text for Web images. Pattern Uses a halftone-like square pattern to simulate any colors not in the color table. Noise Helps to reduce seam patterns along the edges of image slices. Choose this option if you plan to slice the image for placement in an HTML table.